Oh my, I can’t even. I don’t know where to start with this post. I watched Heneral Luna last Thursday with my office friends. I have been dying to watch it for weeks now. So when my friends said that they plan to watch it that day, I joined them. Kahit na may pupuntahan pang event after. First and foremost, let’s talk about the technicalities. This movie is top-notched. Great cinematography. Wonderful play of colors on the screen. And the musical scoring is superb. You would know na hindi tinipid. I love that it doesn’t look too oldish unlike most of the Spanish era movie that we’ve seen. I love the cleanliness. Even the props and the settings are well-done. Well-polished. Not too oldish. Very realistic. And I have to mention that epic one take flashback of Heneral Luna’s early life. It’s very moving and wonderfully executed. Awesome! Then of course, I have to mention John Arcilla. John Arcilla is Heneral Luna. I am glad that they opted for an actor who actually fits the role rather than think of the popularity or its effect on the box office. 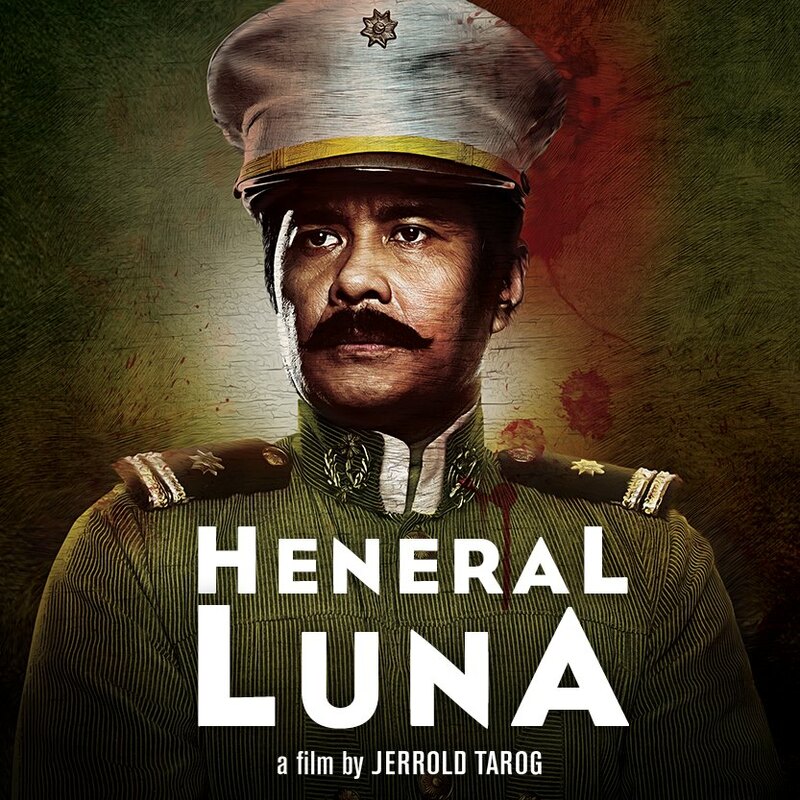 I can’t think of any other actor who could play Heneral Luna. He owned it. And his stellar performance is what made this movie a much talked about film. The other actors are really good as well, except maybe for Paulo Avelino. Now, don’t get me wrong. I love the man, especially his abs. But honestly! I remembered watching Romnick Sarmienta play Gregorio del Pilar when I was a kid and that moved me. Or that’s probably because I was young then? Hahaha! I need to watch that film again. Anyway, I just think Paulo didn't gave justice to Goyong. It’s just me anyway. Babala (asawa ni? hihihi): The views and opinions I will express on this blog post is my own personal views. If you don’t agree, sorry! If you do, apir! Honestly, and I think sa ibang Filipinos din who watched this film, the main reason why we watched it is because of the lessons we learned. Because this film made us realize a lot about our country. That history repeats itself. That mula noon, hanggang ngayon, kapwa Filipino ang kalaban natin. It’s sad, honestly. Especially that scene where they killed Heneral Luna. That scene where you see that a Filipino killed our General. Ang sakit isipin na hindi sya namatay sa bala ng kalaban, kundi sa bala at itak ng Filipino. And then I realized that Bonifacio died on the hands of the Filipinos as well. How f*cked up is that? How sad? That our greatest heroes died in our own hands. Sabi ni Chico Garcia (my fave DJ) when he watched this film, sana daw mapanood ng mga politico. So they would see na mula noon, politico na ang problema natin. Dahil inuuna nila ang negosyo. So sad. And that line when Heneral Luna said, that our love for our families is one of our best characteristics but that’s also one of the worst. True. Dito, pamilya muna. I know that at times, it’s fine and righteous but sometimes you have to think of the bigger things. Normal dito na pagtakpan ang anak na nagkasala. But at the end of the day, are you actually helping your child? Are you actually helping your family? I love my family but I am firm. Sometimes my mama would tell me that I have heart made of stone. Tough love. But I don’t. I have a soft heart. I love them with all my heart and it pains me to see them in pain. But I have to be tough to teach them a lesson. Because this is a cruel world. Sheltering them from harm won’t do them any good. And sometimes, Filipinos don’t understand that. And that’s our weakness. I love my country. And I am still praying that one day, we will rise. I still have my hopes up. And honestly, I am doing everything in my power to help this country. For my child. I want my child to experience a better Philippines. I want my child to experience a better world. So go watch this film. Suportahan natin sya. This is an epic film that every Filipino should watch. Worth every single penny.